Last night I was home alone, so what better occasion to finally enjoy some me time. I made myself a cup of tea, did some writing, and of course spread an old good face mask on my face.I used to be big on face masks, however I had to downsize quite a lot in preparation to my move to New Zealand, and only a few favourites made it to the other side. 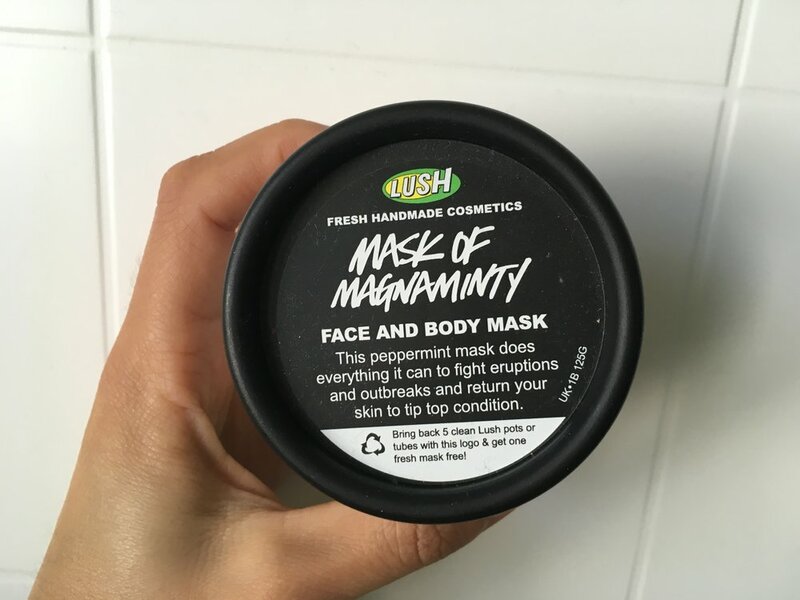 So I thought I'd do a little review of my top four (as many as I have right now) face masks, from least favourite - but still awesome - to my very personal best. Needless to say all of these are vegan and not tested on any fluffy bunnies. What it is: A detoxifying, rejuvenating clay mask that aims to purify your skin and promote epidermis health. What it looks like: A grey/brownish sticky paste. 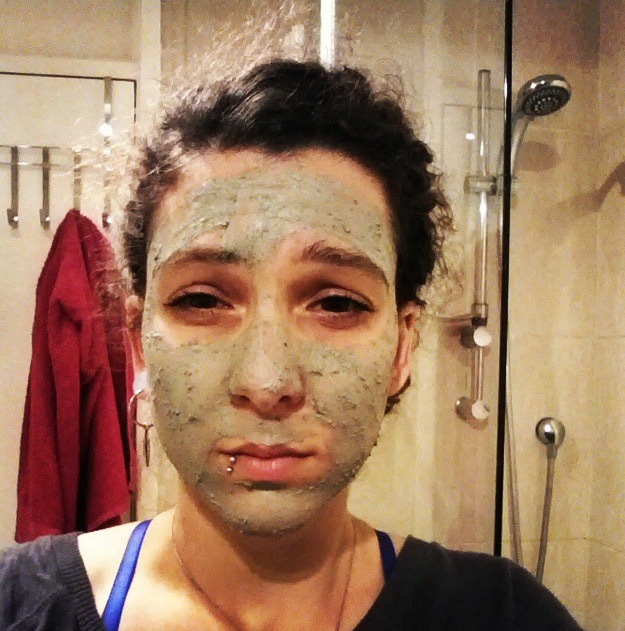 Why I picked it up: My mum told me great things about dead sea clay so when I bumped into this mask at Holland & Barrett back in London I decided to give it a go. It's supposed to help minimise pores as well which is always a plus. Smell: I guess it smells of clay? (What does clay smell like?) Consistency: Muddy. This is the kind of mask that gets hard on your skin as it dries, so make sure you assume an acceptable facial expression when you put it on cos you won't be able to change it five minutes in. To remove it, I think ideally you want to wipe your face clean with a warm cloth, but ain't nobody got time for that. I normally just deep cleanse my face with warm water. Final verdict: I didn't notice any difference on my skin but I will admit I don't use this mask regularly. I still enjoy applying it from time to time as it makes my skin feel clean and my pores are happy. What it is: Specifically for oily and acne-prone skin, this mask aims at absorbing excess oils, extract impurities and help minimise the appearance of pores, "for an oil-free feel and a healthy-looking complexion". What it looks like: A very thick green paste. Why I picked it up: A couple of years ago I suffered from severe acne. This was surprising (and annoying), considering I was in my late twenties and had happily survived a pimple-free adolescence. I surely thought I'd got away with it. Anyway, it was hard for me to find products that worked as I had both acne and dry skin, a rare combination as it's more common for acne to be associated with oily skin. So I did some research, bumped into this video, and decided Queen Helene was worth a try. Although this is specifically for oily skin, it works wonders on my dry face - as long as I make sure to always moisturise afterwards. Smell: Balmy and very refreshing. I have to stop myself from eating it. Consistency: Very thick. This also gets solid as it dries, although not as much as the clay mask. Final verdict: I got rid of my acne but I don't think it was thanks to this face mask. I still use it about every other week, as I like that it leaves my skin feeling refreshed and impurity-free. DISCLAIMER: I just discovered that Origins tests on animals. I was pretty sure that the brand was vegan, however I quickly googled it and it turned out that, although on their website they claim to be "committed to the elimination of animal testing", they also sell in China, where it's required by law to test the safety of products on animals (reference). Plus Origins is apparently owned by Estee Lauder, so no surprise here. Damn. No more Origins for me. What it is: A peppermint-based face mask that fights eruptions and outbreaks. 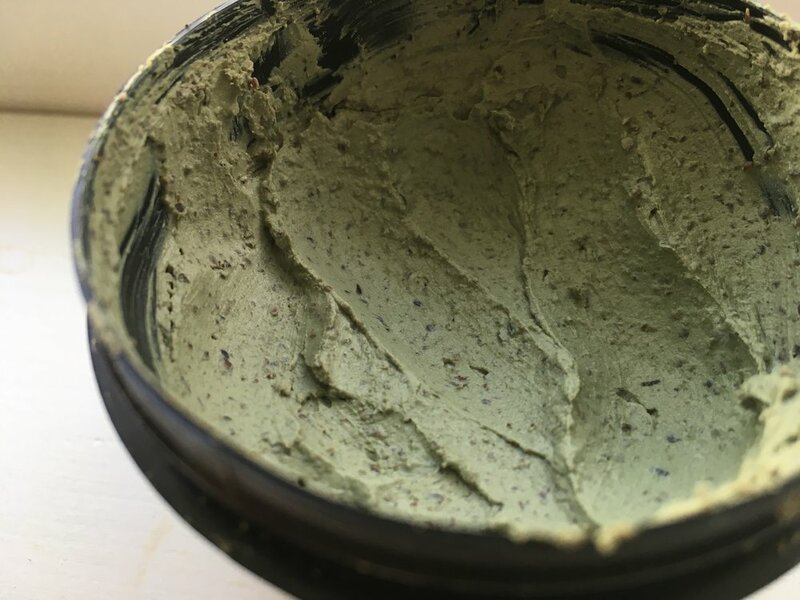 Ideal for dry skin as it's packed with aduki beans for exfoliation, this mask deep cleans your skin and leaves it with a tingly yet soothing sensation. What it looks like: An olive green grainy paste (see above). Why I picked it up: Because. LUSH. I mean. Employees at Lush are always mega helpful, and when I asked for something that could soothe my dry skin I was immediately recommended this face mask. Best purchase of my life. Smell: Minty and tingly. Yum. Consistency: Thick and grainy. It will change colour once applied and get a bit dry. Final verdict: I use this mask once a week and I love the feeling on my skin afterwards. I must have been through at least five tabs since I first discovered it. Here's a very jetlagged me back from two weeks in Canada/PNW. Putting on this mask was the first thing I did before I slept for two days straight. The following are also worth mentioning as they used to be on my fav list but either I finished them before moving to NZ or I decided to donate them to friends and make someone else happy. 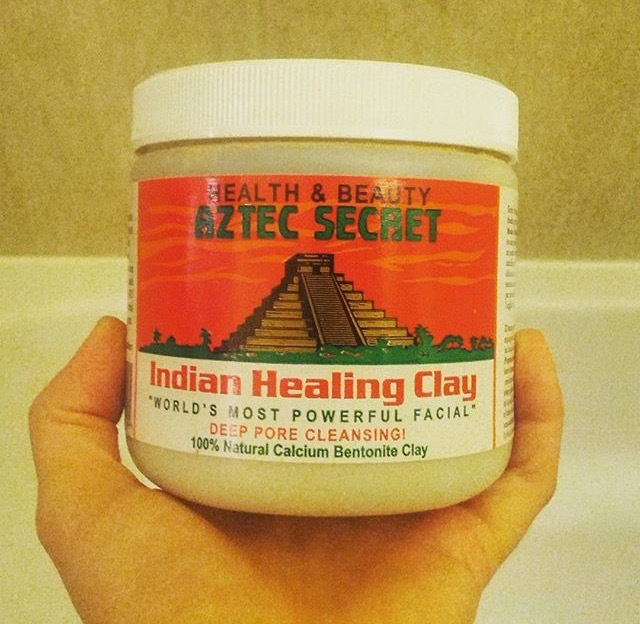 Aztec Secret Indian Healing Clay - Deep Pore Cleansing (find it here) WOW, when they say you'll feel your face pulsate they surely know what they are talking about. If you want to REALLY deep clean your skin, this face mask is for you. A bit messy to use because you have to mix it with apple cider vinegar which smells awful, but if you survive the stench you'll be left with the smoothest skin you can ever imagine. Lush Don't Look at Me (find it here) THIS IS BLUE AND IT SMELLS LIKE THE OCEAN. It feels salty and summery and oceany and I love it. Can't wait to get a job so I can stock up. For better results remember to always test your face mask on a smaller portion of skin before applying it for the first time. Trust me, you don't want to have your whole face covered in it and THEN find out it gives you an allergic reaction.